Churches with four or more of these signs have three choices. They can embark on a process of change and revitalization. 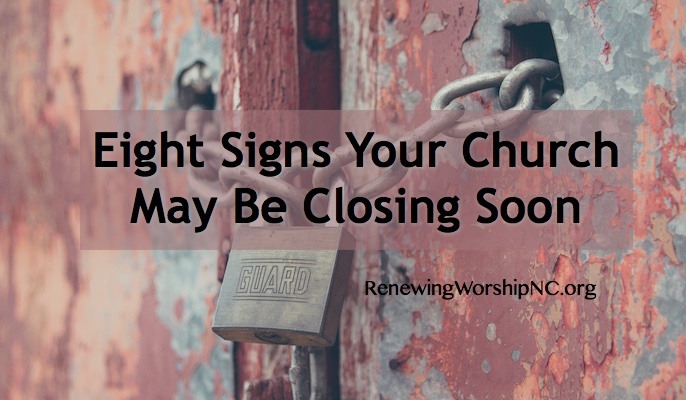 Or they can close the doors for a season and re-open with a new name, a new vision, and some new people. This article was originally published at ThomRainer.com on May 17, 2017. Reposted with permission.